Winter in Wisconsin sure is a sight to see. And what better way to pass the time and get some exercise than strapping on the skis? 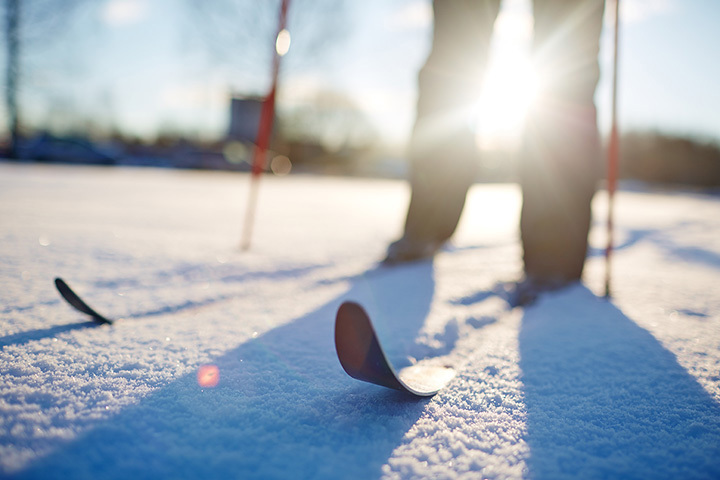 Skiing is by far Wisconsin’s most favored winter sport. Check out the 15 best spots for skiing in the state. Shred down the slopes of Alpine Valley Ski Resort. Not only that—stay on site at their resort lodging. They offer a new Terrain Based Learning Area to help improve ski and snowboard technique for its beginners. There are over 90 skiable acres with 20 different runs—the longest being 3,000 feet. Granite Peak topples over the competition because Granite Peak is an actual 700-foot mountain. Granite Peak has 75 runs and six passenger ski lifts, giving you more time on the mountain and less time waiting around. Portage, Wisconsin is home to the very popular ski, snowboard, and snow tubing area—Cascade Mountain. A $9 million-dollar expansion is almost done on the area with include new lifts and trails. Lessons are available for newbies and tricky trails are in place for veteran skiers. Constructed in 1970, Devils Head Ski Resort is shaped within the glacier-formed Baraboo Bluffs in Merrimac, WI. The longest run of the hill is about a mile and a half in length with 30 runs all together. Not only does Devils Head Resort have ski and snowboarding but also they have a golf course and a notable lodging area. Much like the Devils Head Resort, Grand Geneva does it all. Their mountain stats read 30 acres with 20 different runs. Seasonal passes, lessons, and equipment are all available for purchase at the site. Check out their cool Ski-Cam for awesome slope shots! As if the Wisconsin Dells couldn’t be more exciting—they give Wisconsinites Christmas Mountain in their off season. Sixteen downhill runs, five beginner areas, five intermediate areas, four advanced runs, and one expert level run. Eighteen slopes on 40 acres with a 300-foot vertical hill crafts Tyrol Basin. Lessons are available for all ages and all skill levels. Regulars can choose between a variety of lift ticket options. Check out their $14 Tuesday offer on all tickets! Wilmot Mountain is conveniently located in Wilmot, Wisconsin. The legacy began in 1938, Wilmot Mountain now has almost 120 skiable acres, 23 trails, and seven. The area is now improved by new lifts, a newly transformed base area, a new beginner’s area, a cool high-speed rope tow, plus an expanded state of the art snow making machine. Located in Slinger, Wisconsin is the ever so cute, Little Switzerland. They have a vertical drop of 200 feet with 18 runs that suite all types of experience levels from easy to their notorious black diamond trail. Mt. La Crosse Ski area offers 18 slopes and trails with a 516-foot vertical drop. The ski areas longest run is 5,300 feet in length. Check out their weekly specials ranging from student deals, ladies’ day, senior discounts, and corporate gatherings. Discover the 43 ski hills that Eagles Nest Mountains and Whitecap Thunderhead (Whitecap Mountains) have to offer. While they may not have the height as the other ski resorts Whitecap Mountain offers a challenging course for all types of skiers. Wild Rose is home to Nordic Mountain a sister ski resort to Little Switzerland. Their 18 runs and 265-foot vertical drop call for a pretty decent day shredding the slopes. They also offer snow tubing and of course snowboarding. The Rock at Snow Park is Milwaukee’s go to place for snow tubing, snowboarding, and of course, skiing. Check out their ski park, which offers down hill trails and jumps for all experience levels. While the park is fairly new, they offer all of the necessities like lessons, rentals, and new equipment. Located about an hour north of Eau Claire, Wisconsin, in the small town of Bruce is Christie Mountain—a beautiful ski and winter sport area. Check out their money saving days, private, and group lessons. Ask Christie Mountain about the newest ‘Ski Beast’ in the area. Located in Dresser, Wisconsin, just shy of five miles to the Minnesota/Wisconsin border brings in both Midwestern states’ residents. Of there 90 acres, about 29 percent of the terrain is designed for beginners, another 28 percent for advanced patrons, and finally 43 percent designated to intermediate skiers. View more Wisconsin Ice Skating Rinks.